Sole: The sole of the Takumi Ren 2 feels similar to the Takumi Sen 2 with more protection due to more underfoot. 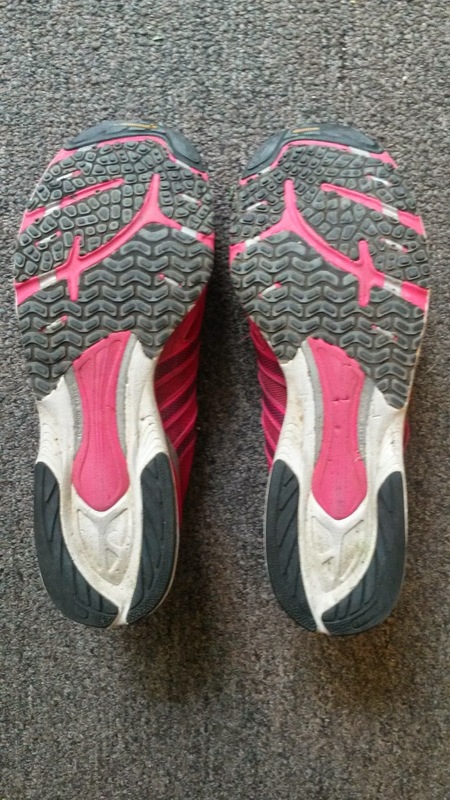 The sole is fairly firm and responsive, but there is enough there to take a bit of the edge of the road off. The outsole looks very similar to that of the Sen 2 except that more Continental Rubber (yes, the same durable material from the tire company) has been placed on the medial heel and the very front end of the shoe. The Quickstrike nubs are still there and give the shoe awesome traction on road and light trails. The extended torsion system into the forefoot is also present and gives the shoe the same pop/propulsion as the Takumi Sen 2. The sole is also wider in the Takumi Ren 2 than the Sen 2. This adds a bit more stability to the Ren 2 and makes it more comfortable at a bit slower paces. That is a relative statement however since the shoe does run very firm. Do not get this shoe expecting a soft or very cushioned ride. It is on the opposite end of the spectrum. While the Takumi Ren 2 is firm, it is not clunky in any way. The Saucony Fastwitch 6 is a good example of a shoe that is light, firm, but due to a poor transition from the midfoot support bridge feels clunky. The Takumi Ren is smooth no matter where you land and I personally have never felt like it had a jarring ride. 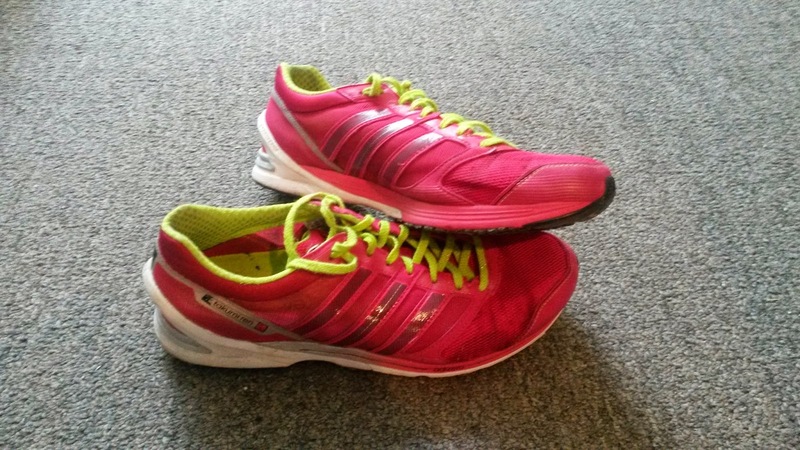 I do prefer shoes on the firmer side and this shoe will probably work for most people as a 10k-half marathon racer. I would have no doubts about racing a marathon in these. Upper/Fit: I normally wear size 10 in most shoes and the Takumi Ren 2 fits VERY true to size if not a little small (so don't order down in size!). The upper of the Ren 2 fits a hair narrower than the Sen 2, but it does so in such a way that it really hugs the whole foot well. I don't feel any odd pressure points except occasionally the top most laces dig into my ankle if I've tied them too tight. This initially bothered me a bit as the heel fits wider than the Takumi Sen, but it disappeared after a few runs and I've never had any heel slippage issues. This shoe fits very close to my foot without being too narrow. The Takumi Ren 2 really feels like an extension of my foot. 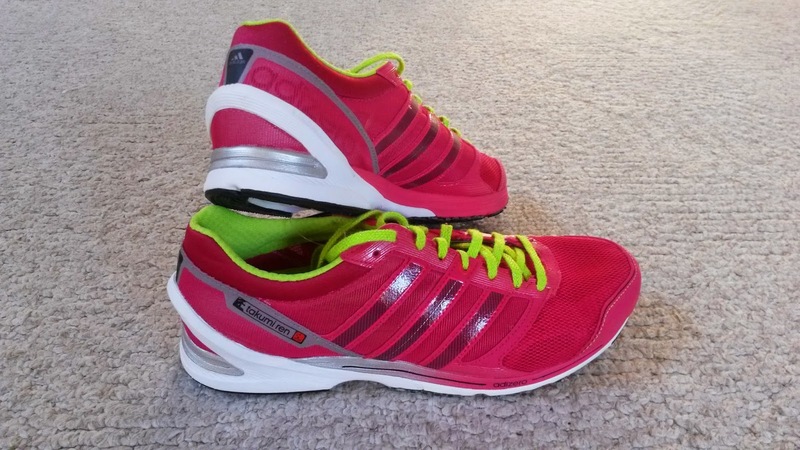 Once you get running it just disappears and that is the hallmark of a good shoe. I forget about it and can focus on the run. What I really like about this shoe is the extended external heel counter (the white stripe on the back). Like the Takumi Sen 2, the Ren 2 has a decent heel counter with just a bit more padding. These elements combined provide some great support by stabilizing the calcaneus (more posterior bone of the foot aka the heel bone) and to me helps guide my foot much better than traditional arch support in the midfoot. 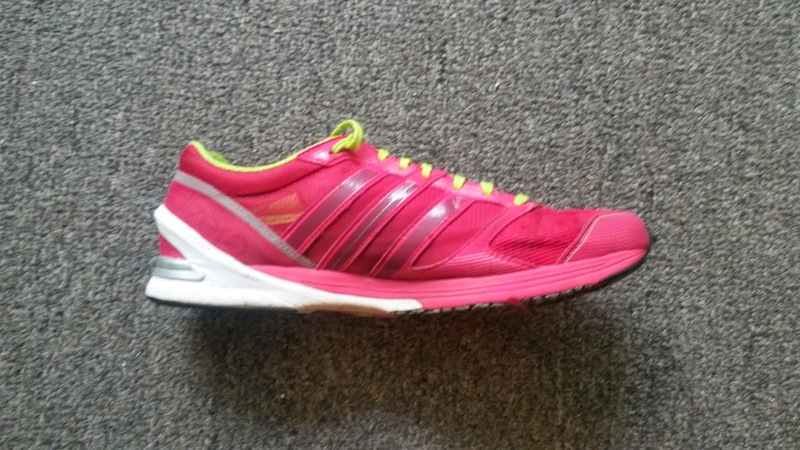 I really like this aspect of the shoe and it is probably one of the reasons that I have been able to use this shoe as my main trainer (even through two back to back 120 mile weeks). 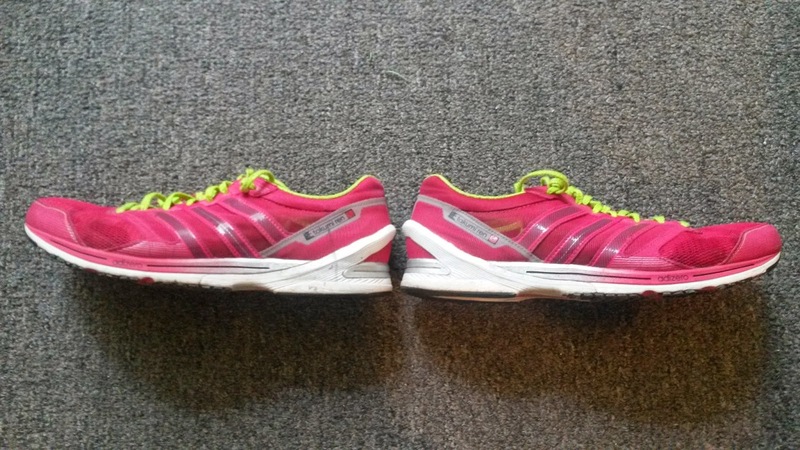 Responsiveness: Like the Takumi Sen 2, the Takumi Ren 2 is one of the most responsive shoes I have ever tried. This is all thanks to the firmer sole and extended torsion system that goes into the forefoot. Most Adidas shoes have this torsion system in the midfoot, but a few have it into the forefoot including the Adios (don't feel this as much in the new Adios Boost 2), Takumi Sen 2 and Takumi Ren 2. This gives the shoe an awesome propulsive feel that I've never experienced elsewhere. 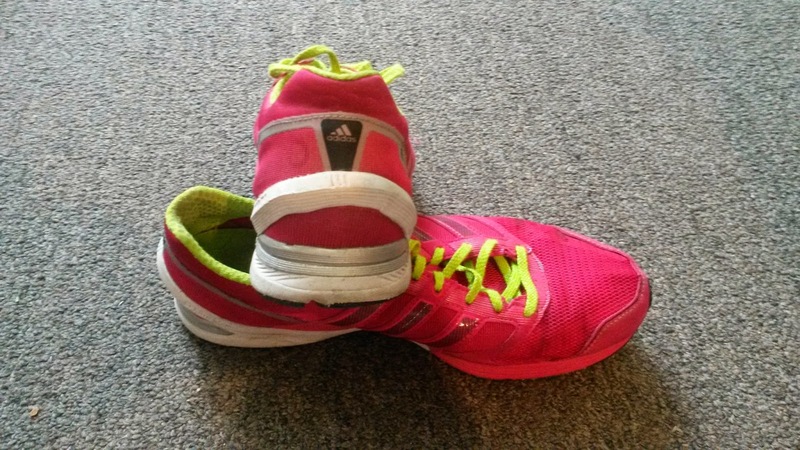 This shoe works really well for longer workouts but can handle anything you throw at it. I prefer the Takumi Sen for shorter workouts, but the Ren can definitely handle them given their weight and how much pop the sole has. Thanks to my minimalist tendencies, I have used these for long runs and I do like them, but it took a little getting used to because they are on the firm side. If you need more cushion, I would probably reserve these for workouts and shorter to medium distance runs. Heel-Toe Drop/Ramp: I have not seen any official numbers for the actual heel-drop, but it feels like a 7-9mm drop shoe. It's not super high, so maybe by feel I sense it to be more in 7-8mm. That being said I've heard rumors about the Ren being a 9mm drop shoe and the Sen being a 6mm drop. As always, don't let static measurements change your view of a shoe. Never once have I felt like the drop or shoe got in the way of my stride. Durability: These are extremely durable for what they are supposed to be. I currently have 282 miles on my pair and they are still going very strong. I normally review shoes after they hit 100 miles, but thanks to DPT school and life I had to put off doing the review. Even after all that time they are holding up really well. There are no issues with the upper (no fraying, no overlays coming off and just a little dirt present), the only sole wear is on the posterior lateral heel and a bit on the forefoot Quickstrike nubs. The extended torsion system into the forefoot is giving me the same pop and propulsion as it did when I first ran in these. I am very impressed with the durability of this shoe and fully expect to get to AT LEAST 400 miles in these. Now for $150 that is expected, but it is nice to finally see a shoe worthy of that price point. I understand it. This is a very high quality shoe. That might also be because it came from the Japanese racing market. While I have only run in the Takumi Sen 2 and Ren 2, both have proven to be very durable and extremely high quality. They are far above any shoes normally available in the US for that same price point. Hopefully I can say the same thing about version 3 of both shoes (I have the Sen 3 Boost and the Ren 3 Boost is on its way from Japan as I write this). Weight: According to the Adidas UK site, the Takumi Ren 2s weigh in at about 7 ounces. That feels about right to me. Really this shoe completely disappears off my feet when I run. They're not racing flat weight, but they are definitely light. Thoughts as a DPT (Student): As someone who needs a bit more stability from his shoes, I really like what the Takumi Ren 2 brings to the table. As I mentioned earlier, the heel counter provides some great calcaneal stability, both holding mine in place and lining my foot up well. The firm ride of the shoe also gives it a more stable ride. 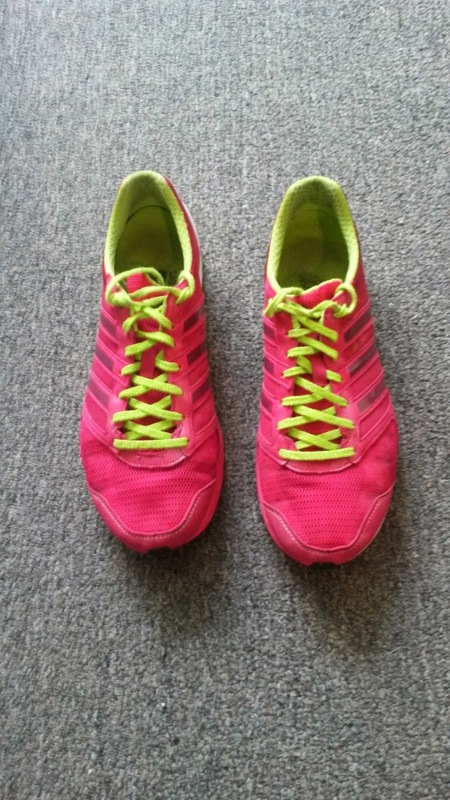 In general, soft shoes are more unstable and require more stability from the body. Whereas firm shoes provide a stable platform but require the body to do the shock absorbing. This is why I didn't like the very soft ride of the Brooks Transcend (REVIEW) and felt like it was very unstable! Personally I like calcaneal stabilization more than midfoot/arch support because my midfoot can be a bit sensitive to obtrusive arch support. This is just personal preference, but is important to know which one suits you better. I tend to prefer shoes with either a good heel counter (that doesn't bother my heel bone) or one that has medial support more posterior on the medial heel. Again, this is personal preference as the majority of customers and patients I have worked with prefer the the feel of their arch being supported. So make sure you find out which one you like better! Unlike the Adidas Adios Boost 2 (REVIEW), the toe spring is not noticeable or intrusive in the Takumi Ren 2. I've discussed before how attempting to hold the toes into extreme extension when many people lack proper toe extension, especially in the big toe, may lead to hammer toes or a variety of other orthopedic conditions. The Takumi Ren 2 has some toe spring but I don't feel it at all. Instead I just feel the amazing smooth ride of the shoe. I think this comes from how well the shoe transitions which is surprising given how firm and stiff it seems initially. Final Thoughts: I really have enjoyed running in the Takumi Ren 2 and will continue to do so until I bust through the upper. The sole has just enough there for me to train in along with the same amazing pop as the Takumi Sen 2 (again, I like firmer shoes). The upper fits really close to my foot without irritating it and the heel counter keeps my foot pretty stable. This shoe has continued my love of shoes from the Japanese market and I will hopefully get to try more in the future. As I write this, I have a pair of Takumi Ren 3 Boosts coming from Japan that I am very excited about. The shoe does look very different (including changing the heel counter) but I am hoping that it has the same great fit and feel as the 2nd version. If not I'll see if I can find a few remaining Takumi Ren 2s. You never know what's going to happen when a company releases the next version. I'm hoping Adidas didn't change too much! These shoes were a personal purchase and are not readily available in the United States. I purchased my pair on Amazon.com through Club Sneakers. I put at least 100 miles on every pair of shoes before I review them (except racing flats which I put on at least 50 miles). Currently I have 282 miles on my pair.